Proteins are the building blocks of life. Proteins? You mean that chicken I had last night? What is a protein anyway? At this Teen Science Café, you will unravel the mysteries of proteins and their importance to all life. And, through some hands-on activities, you will demonstrate how simple building blocks can make diverse proteins, and you will also perform an experimental technique used to figure out what these super tiny bundles of molecules actually look like (spoiler alert – it’s not as easy as snapping a colorful picture like this beautiful animation above!). The café speakers will also highlight their own research at UVM focusing on two specific proteins that they study, share their discoveries, and marvel at the coolness together. Wondering what happens if a protein can’t do it’s job? They’ll hit on that too. So bring your curiosity, your questions, and your appetites as we delve into the microscopic world of protein structure and function! Dr. Heidi Malaby is a Postdoctoral Fellow at the UVM Larner College of Medicine. She completed her PhD at the University of Massachusetts Medical School in Worcester, MA. Her research focuses on how special proteins align chromosomes during cell division, a process that is disrupted in cancer cells, and is therefore targeted for cancer therapies. To answer these questions, she images cell division using state-of-the-art microscopes that can detect individual proteins in live cells. Dr. Andrew Malaby is a Postdoctoral Researcher at the UVM Larner College of Medicine. He also completed his PhD at UMass Medical School. He studies the structure of proteins that repair DNA by using X-ray scattering to take snapshots of enzymes at the atomic level. 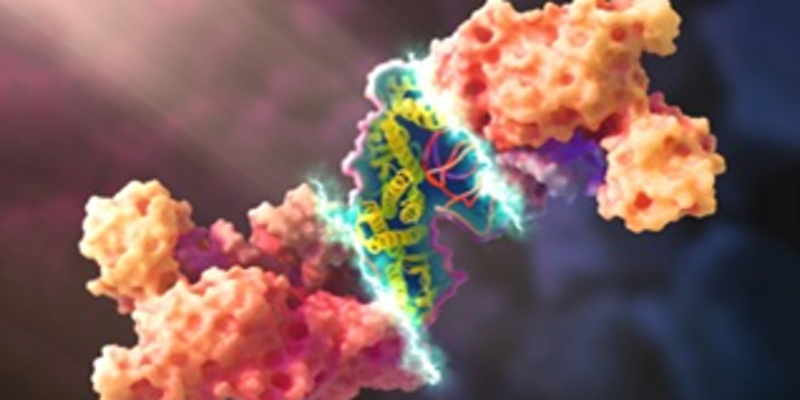 Rather than evolving for one particular purpose, the enzyme he is currently looking at seems to be a “molecular toolbox” for DNA repair, crossing over into many pathways and orchestrating complex DNA repair machines. To request a disability-related accommodation to participate in this program, please contact the 4-H Office at 802-888-4972 or lauren.traister@uvm.edu by March 15, 2018 so we may assist you.